I love working as a Dietitian! Like many professions, it’s challenging yet rewarding! Lately I have received a lot of questions about how to become a Dietitian, what subjects do you need to study at school, where did I study, what degree did I do, what does a Dietitian on a day to day basis, etc? So I’ve pulled all together these questions and made a guide for everything you need to know about becoming a Dietitian. Question: How did you become a Dietitian & where did you study? 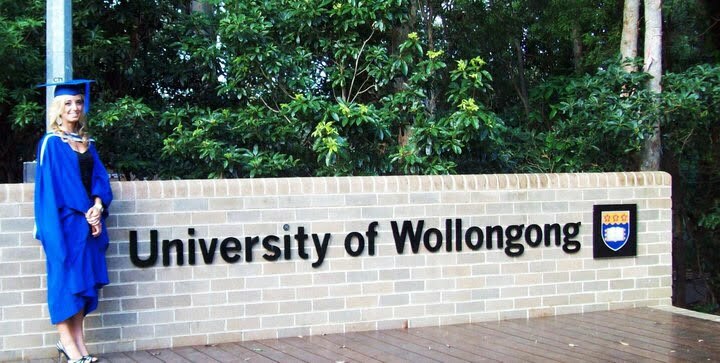 To become a Dietitian, I studied a Bachelor of Nutrition & Dietetics at the University of Wollongong (UOW). This qualified me as both a Dietitian and a Nutritionist. When I studied, the degree required a UAI (now called an ATAR) of 96. My degree was 4 years, full-time (at some universities it can take 5 years plus). It’s done face-to-face meaning you can’t do the degree online, as it involves practical elements like lab experiments & work experience in hospitals. The degree includes a fourth year Honours thesis which involves conducting a 6months of health research. I also hold the title Accredited Practising Dietitian (APD) which means I complete continuing professional development each year to stay up to date with all the latest nutrition research. APD is different to a health coach, nutritional therapist, naturopath etc as its the only national credential recognised by the Australian Government, Medicare, the Department of Veterans Affairs and most private health funds. Question: What subjects should I choose at school if I want to become a Dietitian? Maths and English are prerequisites for a Bachelor of Nutrition & Dietetics degree. I would also recommend studying chemistry at school, as the degree involves a lot of chemistry subject. If you can’t/don’t study chemistry at school, I would recommend taking a Chemistry bridging course before your degree. I also studied Food Technology at school, which I found helpful. Question: What do you do as a Dietitian for work & has this changed over the years? When I first graduated from University as a Dietitian & Nutritionist, I worked as “The Flying Dietitian” for my first year. Each fortnight, I flew across rural NSW for 3 days to work with indigenous communities. I helped these communities set up fruit & vegetable gardens, conducted cooking classes & ran individual nutrition appointments. On the remaining days in the fortnight when I wasn’t working as The Flying Dietitian, I worked on setting up my a private practice business. My private practice was called “Rebeca Gawthorne – Dietitian & Nutritionist” and I offered 1 on 1 Dietitian consultations. I conducted these via home-visit appointments, where I travelled to client’s houses and conduct appointments there, as well as from a number of Doctor’s surgeries, medical centres, gyms & physio clinics. A typical Dietitian appointment involves assessing a clients medical history, family life & lifestyle, current eating and exercise, blood tests etc, and then making a plan (e.g. a meal plan, health plan etc) tailored to their individual health and nutrition needs to help them achieve their goals. About 4 years ago, I started my Instagram @nourish_naturally & this blog. I did this as a way to share recipes, health & nutrition information etc with my clients. My accounts started to grow and this eventually this turned into my full time job, which is what I do now 🙂 (note: I’ll be writing a blog post on this soon). Now my work as a Dietitian involves creating recipes, writing health and nutrition articles for my blog and for companies, working with fruit and vegetable and other healthy food companies to create health content for them and attending & presenting at food and health events. And just FYI – Dietitians can work in all different settings including hospitals (clinical), in the community, conducting research, for a food company, in the media, online or in a private practice. Question: Do you like being a Dietitian & would you recommend it? Yes, I love being a Dietitian! Like every job, it has its busy and stressful times, especially as I own my own business, but overall I love it! If you are prepared to put in the hard work at university (because believe, its hard and requires a lot of dedication), then yes, I would recommend it! Helping people improve their health is very rewarding! Editor’s Note: This is an independent post and all views are my own.